Kustom K100-1. 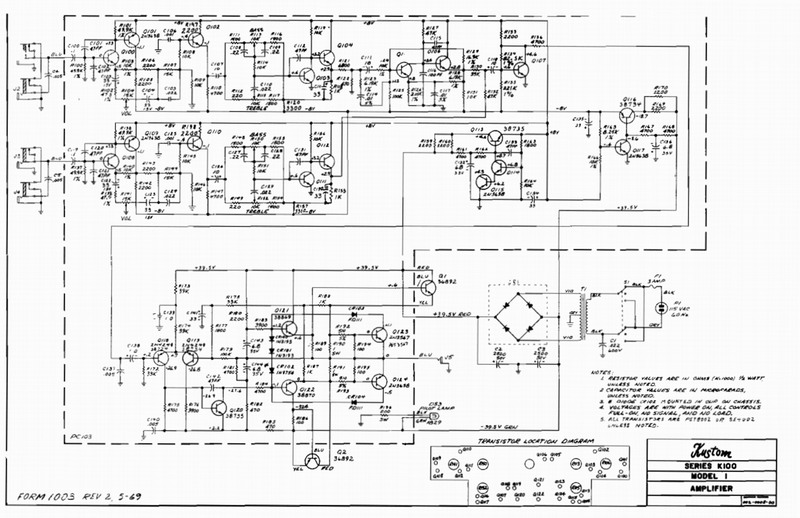 As far as I know Kustom amps typically had a power output of 1/2 the model number of the amp. 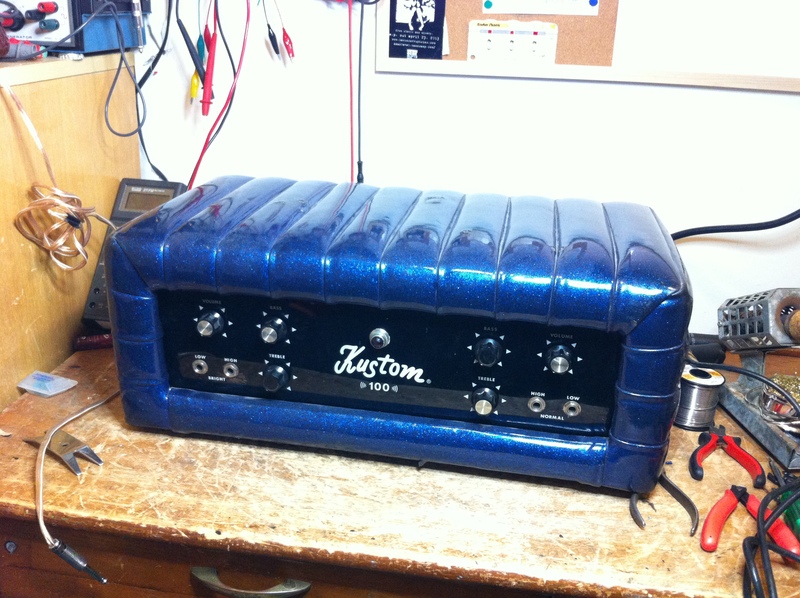 In this case a Kustom K100 has an output of about 50W. This one scoped out to 57W before clipping. Naugahyde vinyl covering is still in nice shape. 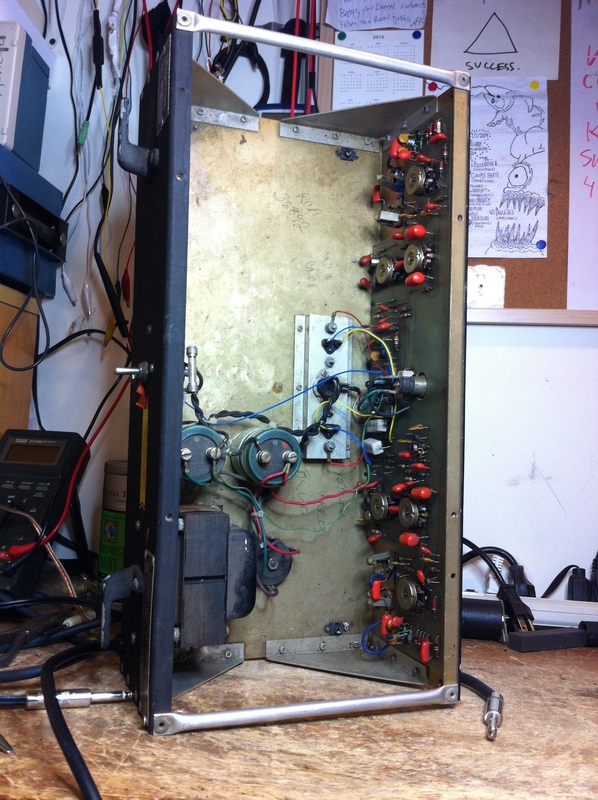 This one had a broken input jack, dirty pots, and a bad SE4002 transistor in channel 2. This is the first transistor after the input jack so the channel basically didn’t work at all. 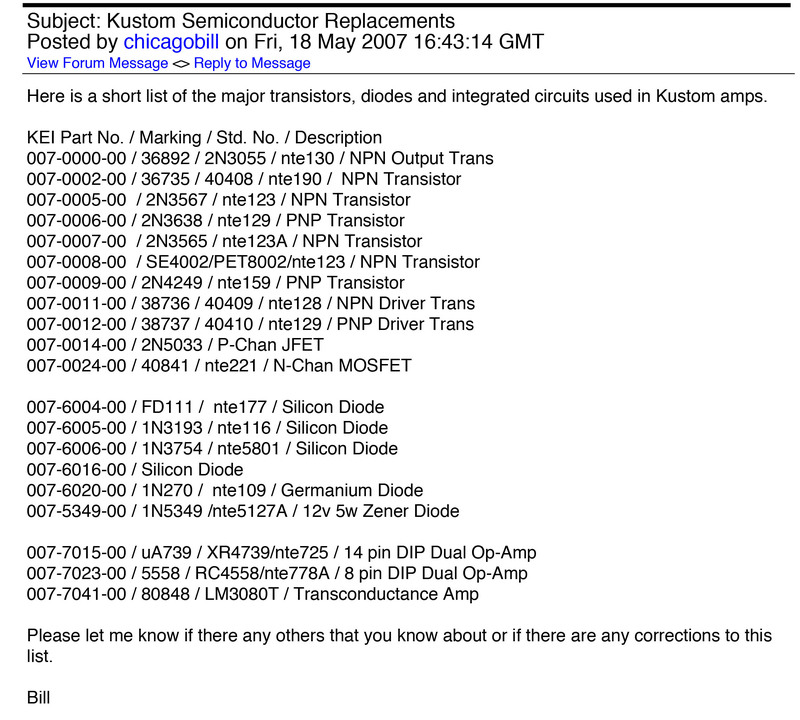 SE4002 is long out of production and was replaced with transistor equivalent NTE123. A handful of drifted resistors were replaced as well. Chassis is kind of funny because it’s almost empty. This amp is very light. The only thing that weighs anything is the power transformer. Two big caps for the power supply, and a single PCB mounted on the front panel which holds all the components for the preamps for both channels. Output transistors are mounted on the heatsink bolted to the bottom of the chassis — as with most 60s and 70s solid state amps it seems they are 2N3055’s.